PushAssist was founded in 2015 as a result of simple observation: person-to-person messaging changed a lot in recent years, but business-to-person communication is still in the Stone Age. Businesses are relying on Email (est. 1993) and SMS (est. 1985) as a channels of transactional, technical and marketing messaging. While the people around world quickly adapt new types of mobile and wearable devices - push messaging is still underestimated by industry leaders and most of entrepreneurs around the world. But What's Wrong With Old Approach? Technically, email messages ware created for mailing, for sending electronic letters from person to person. This technology suits best for sending letters, that could be read and answered later. Email marketing is a huge business field, because emails can be designed well and transformed to landing pages. However using email just for status notifications and real-time messages is not convenient. Average Email inbox is already overflowing. People want to stay tuned but don't want to be spammed. Short Message Service (SMS) is employed in direct marketing and A2P messaging. It became popular because it don't require Internet connection to work and have very high penetration among people all over the world. The problem is that it is still very expensive considering you have to send thousands of messages in a day. Business have to shell out hefty sum to telecom providers for it's transactional service(s). This ends like 75-100x higher price than email has and just to deliver 160 characters of text. And the second problem is that situation changed a lot since 1990's. Almost all modern devices have Internet connection and only phones also have GSM. Why Push Notifications are Far Better Way To Touch Base? By all standards push notifications are the WAY to communicate with your customers. Not only you can track but also you can measure their behavior using push notifications. 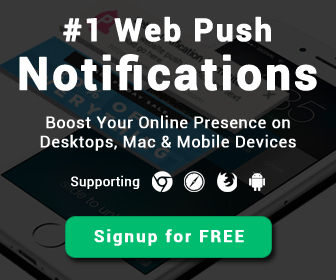 Push Notifications are designed specifically for modern mobile devices and browser-centric laptops and PC's. Push notifications are tracked on the client side. That means you can understand not only did you customer receive message or not, but how he behave after receiving message. Push notifications, messages are at least 100 times cheaper than SMS. Push technology is supported by device vendors. This means lowest battery use as possible. SPAM can be handled by customers only, that's why they have an option to either Allow or Block receving notifications, messages at anytime. PushAssist is a dedicated team of full stack software professional having 15 years of industry experience. We’re committed to providing outstanding support. We design our SaaS services to be simple to install, configure and run. But on the rare occasions when help is needed, our highly skilled technical team provides a quick response. We also offer a wealth of online resources and free-of-charge support for products during evaluation.